What I am about to tell you is some truth. I have personally seen, with my own eyes, two Baptist pastors - one the host pastor pass a HUGE envelope FULL of CASH to the other "Evangelist" pastor then they Hi - Fived each other laughing and smiling as they walked out the back door. I know many do not believe this, but I saw it and it turned my stomach inside out! It happens everywhere now and they use these "Revivals" and "Conferences" as "extra" pay and un-reported tax free income to support their lifestyles. When will the pew sitters Wake Up? Tom, as a member of a cooperating SBC church, I have (along with the millions of other SBCers) a right to know where my money is spent within our denominational structures. While I favor any church - mega, micro, or in between - being transparent with their finances, I do not have a similar right to know for any church other than my own. That said, I don't see how Baptists at any level can be ill-served by following the old axiom, "Trust the Lord and tell the people." Thieves and Liars!! ALL of them. Among all of the grievances of Brunson that you have, I do not criticize your opinion or feelings concerning them. There is one however that I have a difficult time understanding, and that is why it bothers you that someone gave him a piece of land. If it is "who did it" and "what motive they had", then there are dynamics involved that go beyond what has been said. But if it is just the fact that someone gave it to him, or the value of it, then I fail to see the grievance. People give their pastors gifts all of the time. I have given gifts before. And most of the time, those gifts are given in proportion to the givers abilities. $300,000.00 to one person, may be $20 to another. There is nothing inherently wrong with giving a pastor a gift, nor is there anything wrong with him receiving them. If he is asking for them, looking for them, or motivated to wrangle them, then the pastor is indeed a shyster. But if the gifts are purely motivated by the giver, with true and honest intentions, then the value of the gift is left to the proportion of the giver. There must be some dynamics surrounding this issue that I've missed, or you haven't said. Hi JH - yes, there are many dynamics that have been addressed on this blog concerning the land gift. I've expressed my opinion of the land gift quite often on this blogs in the past 2 1/2 years, I would refer you to those posts. Isn't it ironic that every citizen knows the President's salary, the Vice President, each member of congress and the senate, each governor, each state representative, each state senator, each city mayor, each city council representative, each federal and state employee, each baseball player, each football player, each basketball player, each boxer, who the top 100 Americans salaries are, but we cannot be told what the Baptist preacher's salary is. It might just be too embarrasing for the members and the local citizenry to have this information. Sounds suspicious to even a 6th grader!!! As far as land gifts and perks why not disclose them...whats there to hide if there is nothing wrong about it...it is a gift and there is nothing wrong with giving gifts away for any reason whatsoever. Stop giving them a dime. I mean it not one dime. I was a small businessman and I had to give the IRS 45% of everthing I made. I worked 16-18 hours a day. And I earned every dime I made. These guys float through life on money they "rip-off" from the church people, and have the audacity to tell them it's none of the peoples business how much they rip off. They get by TAX FREE., while the rest of us pay through the nose. How stupid to be talked into "tithing", (old testament). Of course, if they can get you on a guilt trip, then they have it made. Half the time preachers work (if you can call, preaching 3 one hour or even 30 minute sermons they probably got off the internet, working) less than 20 hours a week. They simply delegate THEIR responsibilites to others!!! Most of them won't even preach your funeral, unless you gave big money and they can expect more from your estate. They send a "junior pastor" to "do" the service of the average member. Senior pastor is too busy, don't you know. No sir, not one more dime!!!! I have watched them do this stuff for years. Don't know why it took me so long to "get the picture". I just got enough of it one day. You said: "I do not have a similar right to know for any church other than my own." It really isn't about a "right" to know we're speaking of, we're talking about transparency as a means to prevent abuses. Pastors and lay leaders should WANT transparency, as it is a check on their decisions on pastoral compensation. Now, given that churches enjoy tremendous tax advantages, they should return that favor to the tax payers by being completely transparent on what they do with the "donations" given to them that are not taxed as income. I'm not a member of Fellowship Church, but yes, I am interested in what Ed Young is doing with the millions he is raking in at his church. Are these churches really ministries, or are they business set up to enrich the leaders, and thus should they be taxed? Our society will be well-served when the donors at these mega churches are told how money is spent - they can then make a better decision of where their "tithe" should go: should it all go to their mega church, or perhaps when they have the full picture they will decide to use some of their tithe to support other ministries involved in helping people. We're really talking about market efficiency - let the "investors" have a fuller picture, so they can make wiser investments of their donation money. This will serve us all well. I for one want churches to be required to provide an annual report, mailed to all donors large and small - with prescribed financial disclosures that includes pastor and executive staff compensation, and disclosure of large gifts received and any outside income. Let's see now....45% to the IRS.....demanded. 10% (tithe) to the preacher/church...demanded. Something is wrong here. There are some that only make 10% of what the preacher makes, and the preacher wants 10% of that as well. Watchdog you are kidding right? None of the megas will really allow the peons to know what they make just the "upper crust trustees". If the whole deacon group knew it would get out to their wives and then be all over the church in less than a week. Ain't going to happen. They like secretcy especially when its about THEM!!! BUT when one makes out a tithing envelope all they have to do is multiply by 10 and then they (whoever is counting) will know exactly how much those particular tithers earn. Its called life in the fast lane for the elitest. But they are accountable to a much higher power than those trustees who they hang around with and dine out with. JH - do you have any problems with a $300,000 land gift being given to a congressman? Or to the coach of your child's little league team? Or some man giving such a gift to your wife? Why or why not? Are there any possible concerns, or appearances of quid pro quo that might raise your eyebrows? Particularly when the donor only knew the donee for a couple of weeks and the money was needed for other priorities and needed by the poor and the donee did not even need the gift. The land gift tells us a lot about the recipient. I agree it does not say as much about the donor, we will assume the best for him. And maybe your question should be directed to Billy Graham and Mac Brunson. They BOTH have stated unequivocally that pastor's should not accept expensive gifts. Period. I readily understand the concepts of bribes, flattery, quid-pro-quos etc. If that is what happened, then yes it is a problem. "Is it not mine to do with as I see fit." If a man wants to give another man a gift what is that to me? If someone wants to give my congressman an expensive gift, that is their business. It only becomes wrong if that gift keeps that Congressman from doing what is right. Because a man has received a gift does not necessarily mean that he has been bought. I have had pastors that had millionaire friends, and those millionaire friends shared their blessings with my pastor, and all that ever turned out to be was a blessing for the church I attended, and my family. It didn't bother me a bit if they went fishing together, vacationed together, or whatever, the fact is that our pastor pastored everyone in our church the very same way. Your blanket is just too big. People are finally waking up to the fact that government workers have far surpassed in average income the private sector. Most will refute me because the media only talks about the CEO bonuses, wall streeters, etc. But the average management salary in business is about 29,000 below a management position in government. Watch the "service sector" unions like SEIU. Highest paying careers out there: public employee or ministry. "It really isn't about a "right" to know we're speaking of, we're talking about transparency as a means to prevent abuses. Pastors and lay leaders should WANT transparency, as it is a check on their decisions on pastoral compensation"
It is also about the fact that these same people claim to represent our Lord. Do I want folks to think that Ed Young and Mac Brunson represent Christianity? Our Lord had no where to lay His head. I would think they would be embarassed with such granduer. But they really believe God is blessing them. They need to read Matthew 6. It could very well be they are receiving their 'reward' here and now. Not good. "Because a man has received a gift does not necessarily mean that he has been bought." And it does not mean he wasn't. Which is the point of transparancy for a "public" figure. he CHOSE to be a public figure as pastor of a mega church. "Stop giving them a dime. I mean it not one dime." "........ Half the time preachers work (if you can call, preaching 3 one hour or even 30 minute sermons they probably got off the internet, working) less than 20 hours a week.... "
JH. How can you claim it doesn't bother you that the millionaire took the pastor fishing and on vacations with him. Its like the man with a Gold ring getting the best seat in the church. There is always going to be a relationship between the rich man and the pastor in your example. Did the pastor ever go on vacation and fish with a truck driver, a garbage collector, a file clerk, or a library worker. I think you know that answer is no. The point is the pastor should never align himself with the rich as it points to favortism plain and simple. He is to always be above reproach. If two farmers saw him fishing with Mr. Millionaire they could believe something is amiss but also believe they are wronged by the pastor never wanting to fish with them. If you can't see this you are wearing blinders. The old proverb "avoid the very appearance of evil" is a perfect model and it comes from the Bible not some ordinary book. Possibly you think the pastor should just rub elbows with the rich and famous? Thy Peace - thanks for sharing that story. Nice to see the boards of corporations hold their CEO's to such high ethical standards. I think the boards of our seminaries and churches could learn quite a bit from our corporations. SACRAMENTO — In response to the salary scandal in the Los Angeles County city of Bell, State Controller John Chiang is requiring that all California cities and counties publish the salaries and compensation details of their employees and elected officials. 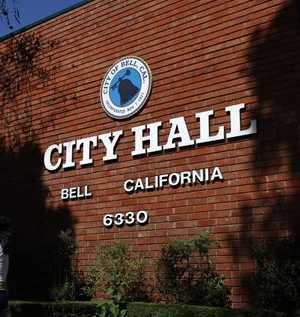 The town of Yucca Valley is one of many San Bernardino County cities hastening to open their books to public scrutiny. “Staff is putting this together this summer, and we will make it available on websites,” Mark Nuaimi, Yucca Valley’s new town manager, announced at Tuesday night’s Town Council meeting. The salary and compensation information must be reported to the controller by mid-October to be posted on his website. Those who do not comply will be fined $5,000. “The absence of transparency is a breeding ground for waste, fraud and abuse of taxpayer dollars,” Chiang said in a statement issued Tuesday. Questionable as the Mega preachers that I know spend far more time in their office writing books, preparing sermons to be preached at other facilities other than their own. They are paid "well" for their so called hard work. The Mega's have a cushy job compared to many whose average work day is 12 hours long and paycheck not even close to their 6 figure salary. Preaching is hard work only for the lone Pastor who does it all - those being the ones who are not the Rock Star Celebrity Preachers whose days are coming to an end. Your sheep are waking up! If city governments can post on line to the world the salaries of their elected officials and employees, from the very top of the organization down to the bottom, why can't Ed Young and other mega church pastors do the same, for at least themselves and their fellow "pastors"? This would give us a chance to see where our money is going...and would give them a chance if they chose to disclose just how generous they are in how much of their money they donate back to the church and other causes. I call for Bryant Wright, the new SBC President, to urge all churches to be completely open and transparent to the world about how much their pastors earn. Maybe some churches would be embarrassed by how little they pay their pastors. Some would be embarrassed by the large sums of money that are paid to their pastors. I know, it will never happen unless the government demands it, and then the churches would hire lawyers arguing that it is an entanglement of the government in religious matters and the churches would win. 1. There are people who know mega pastor compensations in each church, maybe they need to spill the beans. 2. Sheep need to stop giving to the mega churches until the churches display total financial transparency. 3. Sheep need to start designating their gifts very carefully to their churches to make sure the money goes to genuine expenses and ministry, and not executive compensation - until of course, total financial transparency is achieved. I'm not sure about how the third one would work, but maybe some of you accountant types could chime in. VERY well-written and so true. You nailed it. JH's posts were very disturbing to me and I appreciate you putting in to words with proper Biblical support. "3. Sheep need to start designating their gifts very carefully to their churches to make sure the money goes to genuine expenses and ministry, and not executive compensation - until of course, total financial transparency is achieved." Mega Church Pastors hate designated funds, and will maneuver around them (ie ignore them, etc) in anyway they can. You are also talking about God's Anointed, and they are hard to touch (no accountability except God). Im going to shock you on this one Watchdog, but I agree with you completely on this. Transparency is the biblical and Christian model. Our church posts a monthly Treasurer's report on the bulletin board and extra copies are provided in the foyer. This report gives all income and expenses in detail, including all my compensation. (Except revivals or conferences I preach) But all that information is included in my tax return. I can't speak for mega churches, but every church I've served or been a member of had financial transparency. This documentary aired on FOX News last night and will air again tonight and early tomorrow morning. Certainly worth catching if you missed it last night. If Ergun Caner wants to speak out against Islam, why does he never speak out about the way women are treated in this "religion of peace"? Instead he's joking about being all for women behind the pulpit... "so they can vacuum back there." "3. Sheep need to start designating their gifts very carefully to their churches to make sure the money goes to genuine expenses and ministry, and not executive compensation - until of course, total financial transparency is achieved. That is almost impossible to do in an elder led church. It's not "our" money. God has blessed us with everything we have and we are giving a portion back to HIM. If it's being mishandled then we need to step up and try to do something about it. But to say this is "my money" then you really never gave it to God anyway. Kenneth, Stop drinking the Kool-Aid. You've had enough.
" It's not "our" money. God has blessed us with everything we have and we are giving a portion back to HIM. If it's being mishandled then we need to step up and try to do something about it. But to say this is "my money" then you really never gave it to God anyway." Then never complain about not getting your moneys worth, as it's all Gods money anyway? Not? So how is it that the "unsaved" have been blessed also? Were did that money come from? Tithing is a lot like foreign aid one never knows where the money went and what the dictator has done with it. Everything we have is from God. From our first breath to our last breath and everything in between. If the "Kool- Aid" you are referring to is Scripture then give me a big cup full. My God will supply all YOUR needs according to HIS riches and glory. A former Bell city official's huge $787,000 salary is only half of his unusually generous total compensation, according to local media reports. Thanks for the update Richard. This story is developing by the hour. I've noticed every city in California is now rushing to put salaries and bennies of all government employees including elected officials, on a website for the world to see. Financial transparency is a wonderful thing. I am telling you, WD readers, if you knew the total compensation package of the mega church pastors like Ed Young and those of his ilk, you would be as disgusted and horrified as you are when you read this story about the city manager of Bell, California. Most of the time the posted and reported salary of these pastors to the membership during a budget process or as reported during a business meeting is only a small portion of sctual income to those employed by the church. There are many hidden categories or line items that most members have NO idea what it means when they see those dollar amount pieces of budget reports given to members. And if you ask what it means or what it is for...they label you as a "troublemaker". Check those line item cost, such as allowances, conferences, miscellaneous, etc., because that is where many dollars are hidden as pay to these men in order to divert taxable income! "My God will supply all YOUR needs according to HIS riches and glory." Just think when Paul wrote this.... there were No Foundations, No Retirement funds, no preacher kids Educational funds, No Medical Insurance, No Housing Expense Accounts, No Auto Expense accounts, No Travel Expense accounts (anything missed?) that would tie up monies that would be used to spread the News that Jesus Saves (not pastors). So when you see a real preacher who doesn't have or is willing to forgo any of these things, then maybe, just maybe the lost sheep would hear his voice . Some of these budgets are so cloudy with salaries of all staff put in one category it is impossible to determine what any employee makes whether he/she be pastor or janitor. Its called hiding the treasury. The question does become, at some point, how much transparency is necessary? Recently the controller released the salaries of every position in LA on a PDF. Another site, http://www.lasalaries.com takes it a step further and includes names, titles and salaries of all LA employees. Neither of these sites include overtime, or any other kind of pay. I've done extensive research on city salaries, and overtime and other payments can quickly double or triple city salaries. It would be nice to see these additional payments. It would be nice to see the state controllers office begin implementing independent, external audits. Even if open records are provided, how can you trust how accurate they are, or how much is dicslosed? As a matter of fact the preacher went fishing with anyone who invited him. He did not discriminate against the poor or the rich. Perhaps if he's fishing with two farmers and a millionaire sees it, he may assume that the pastor looks down on wealth. Brother,/or sister/ your premise is that pastors must be friends with nobody. As I said, as long as the gift never keeps the servant from doing right, then nothing is wrong. You make it sound as if the watermelon given by the farmer, or the golf clubs given by the banker, will determine who the pastor loves, and how the pastor pastors. Brother/ or sister/ you are the ones with blinders on. You have pre-judged every single pastor, in every single situation. No gift should sway a man, whether it be $300,000.00 land gift, 40 yard line ball tickets, or a box of donuts. The issue is not the value of the gift, the issue is in the integrity of the man, and in your economy the receiving of any gift makes a man a hireling, which is not true. Again, your blankets are just too big, and your blinders are too broad. Yes, he must be prepared to give it all up tomorrow as a follower of Christ. Now, tell me why Brunson was so upset about the truth being on a blog about his gifts? To the point of using the civil authorities to find the blogger and issue him trespass warnings. Sounds like someone protecting his goodies to me. "The issue is not the value of the gift, the issue is in the integrity of the man, and in your economy the receiving of any gift makes a man a hireling, which is not true. You should read church history. You make the same arguments the Romanish Popes of old made. They thought they had integrity, too. I agree with transparency and practise it, but it would seem that some who post comments here believe the pastor is doing wrong to receive pay. I don't believe the pastor should live in opulence, but he has a family and expenses like everyone else and God has ordained that he should be paid for preaching the gospel. Paying the preacher doesn't take away from the preaching of the Gospel of Jesus Christ that's what he does. John - I agree. But with transparency. All donors of a 501(c)3 religius organization should receive an annual report disclosing certain details on organization income and expenditures, including senior executive compensation and that of their family, along with disclosure of direct gifts received greater than $500. Very easy. I agree 100 % with you Brother. Anon 4:49. You were the one who said the pastor went fishing or golfing with a millionaire not me. YOU never mentioned that he went fishing and golfing with everyone and anyone. How can one defend a position that they believe is true if only given partial facts? I paint with only the paint I receive not the paint I do not have. Next time provide more facts. Still the larger gifts are always on the mind not the watermelons. A $300,000 gift is much better than a $4 watermelon. Attn 4:49 You said not every gift SHOULD sway the man. Key word SHOULD. You also said that integrity was the issue. I agree. I have known some in this life with much integrity that would not accept any gift if it looked out of place, especially those that represented Jesus, as not to compromise any good they might do in the community IN JESUS NAME. No matter who or what situation is at hand. Each of us must make our own decisions, and do what we think is right and pleasing to the Lord. "I don't believe the pastor should live in opulence, but he has a family and expenses like everyone else and God has ordained that he should be paid for preaching the gospel. Paying the preacher doesn't take away from the preaching of the Gospel of Jesus Christ that's what he does." John, can you give an example of a PAID pastor in the NT? Remember...YOU used the word PASTOR. When one is traveling to and fro to share the Gospel we are commanded to help them with money and to put them up, feed them and welcome them into our homes. If you want to come back with "double honor", then you will have to let us know who gets "paid" single honor. By the way, anyone can get a seminary degree and proclaim themselves a "pastor". And, many do who are not really 'pastors' in the biblical sense. Time for folks to wake up and start educating themselves. Jesus left us with the BEST teacher, the Holy Spirit. So, basically, you are saying that God likes Mac more than some Chinese home church worker put in a dank Chinese prison for sharing the Gospel? You sound like Joel Osteen. BTW: God also uses PEOPLE to supply needs of others. But they have to be willing instead of just blowing it off as only God's job. Nice way to get out of it! The Kentucky State Association Newspaper reported this month that the average salary for Ky pastors is 52,000. This was below other SBC state associations. Andthat figure includes many small churches! And since that is ONLY salary and not house allowance, speaking gigs, revivals, etc, I think they do very well considering....even the small church pastors....some of whom are very young. In an SBC church down the street with an average of 300 attending, the pastor makes 80,000 year which does not include housing allowance, speaking gigs, etc. I think lots of folks would welcome such a salary in this economy. Pastors are a whiny lot. I have seen it over and over on blogs. They boast of all they do and whine about how little they make. Then they preach so that someone making 20,000 year is sinful if they don't give enough to keep them in their salary. I say, get out in the real world and try to keep your salary. They have all become so Romanish when it comes to money and what they do. John, You need to reread this part instead of focusing on what you think are your rights. I have heard so called preachers brag about gifts received or given in church services. This was done to promote this tactic. I just did not fall for the the dog and pony show. Evangelist now come into churches nowadays to promote the home pastor and vice versa. They tell you if you don't give "Your Lost." It is all about these extra benefits and gifts they seek from the blind. I'm glad I am not one of blind. Sounds like JH is back-pedalling to me. Who cares about TeBLOW? Crybaby! YOU my friend assumed that since the pastor went fishing and vacationing with millionaires that automatically meant he didn't do the same with farmers, or less influetial people. That is exactly what I am speaking about. You made a needless assumption. You took the only piece of information given, and made the worst out of it, not knowing all of the facts. That is the issue. You never have all of the facts. You judged my preacher based on one piece of information. So what if I didn't tell you that he'd fish with anyone or vacation with anyone. Before you judged him you would have done well to at least wonder if you knew all of the information. It was not my intention to give the life story of the man, but just to say, "My preacher fished and vacationed with millionaires and they blessed him, and he blessed us." My point was that you cannot assume that because he does that means he's a hireling. Never assume that because the Rich favor him, that the poor do not. Never assume that because the rich bless him, that the poor do not. Never assume that because he rubs shoulders with financial elite,that he does not rub shoulders with the finanicially challenged. Your blanket is too broad. Hey speaking of Tebow...if you don't like Brunson's mad money now, just WAIT till that NFL $$$ starts funneling in...look out! FBC Dallas just wishes they could lay hold of that kinda cash. Droolers. Everything we have is from God. From our first breath to our last breath and everything in between. Kenneth - so what? What does that have to do with the local church budget? Why does the church budget keep getting God's money? I have read and reread that passage, I was the one who posted it and deliberately included it in the post so no one could say I purposely left something out. Your assertion that this only applied to traveling evangelists is really somewhat arbitrary. Because Paul uses the general term of "they that preach the gospel". Further, priests were not traveling evangelists, they were ministers of the temple who had dedicated their lives to that service. In the same way those who have dedicated their lives to the preaching of the gospel and laboring in the word are to receive their living from it. And the 1 Timothy 5:17, 18 passage you said I couldn't use is specifically talking about paying elders who labor in the word. And the verse you cited from PAul was talking about the fact that he did not charge the Corinthians for his services, and you are right, he was a tent maker, but he also received support from other churches while he was at Corinth. I have been a bivocational pastor, my family has sacrificed greatly financially in order to be a pastor. The truth is that you have turned sour on all pastors, and you won't even listen to the scriptures. If you have a problem with paid pastors, take it up with God, He's the one Who commanded it. Perhaps you should reread the whole passage instead of just picking out the part you like. Kenneth - these are not my blinders. The advice to pastors not to accept large gifts (and the reasons why) come from Billy Graham and Mac Brunson. Neither of them tried to use your logic to rationalize pastors accepting large gifts. Rationalize it all you want, but government and private business agree with Graham and Brunson when it comes to expensive gifts: Don't take them. And if you do, disclose them and pay taxes on them. And whatever you do, don't play the ONLY commercial ever aired for a local business during the preaching service for the family of the donor! "That is the issue. You never have all of the facts." It would be very nice to know all the facts. Too bad the pastors do NOT want us to know facts so they can say 'you do not have all the facts'. This excuse is used over and over by the Baptist Mafia types. Makes one wonder why they are not forthcoming with ALL the facts all the time. And by the way, motives and words do NOT matter. Actions do. And all we know is 'fishing with the rich guys' and taking very large land gifts. If there were fishing with the poor guys in dilapidated bass boats with only cheese sandwiches, I am sure we would have heard about it by now. "Your assertion that this only applied to traveling evangelists is really somewhat arbitrary. Because Paul uses the general term of "they that preach the gospel"." 29Two or three prophets should speak, and the others should weigh carefully what is said. 30And if a revelation comes to someone who is sitting down, the first speaker should stop. 31For you can all prophesy in turn so that everyone may be instructed and encouraged. 32The spirits of prophets are subject to the control of prophets. 33For God is not a God of disorder but of peace. So, if there are two or three prophets speaking, shouldn't they be paid also? is no command for one man to speak every week to folks sitting in pews. Everyone is gifted and there to edify the Body. Some more spiritually mature than others. But the point is for them to grow. The church is not an "organization" with org charts and buildings. It is a living organism and the "temple" is now US. To answer your question, it doesn't matter what I think, the scriptures say that teaching elders should be paid. Elders pastor (shepherd) the church. (Acts 20:28) "Pay careful attention to yourselves and to all the flock, in which the Holy Spirit has made you overseers, to care(same word as pastor or shepherd) for the church of God, which he obtained with his own blood." Yes there is a dual definition to the term church, you use the term Temple (both are biblical). One is the corporate body of Christ and the other is the local assembly. Those local assemblies were organized. The argument against the organized church is not tenable. "(1 Tim. 5:17, 18)"The elders who are good leaders should be considered worthy of an ample honorarium, especially those who work hard at preaching and teaching. For the scripture says: You must not muzzle an ox that is threshing grain, and the laborer is worthy of his wages." HCSB"
"o answer your question, it doesn't matter what I think, the scriptures say that teaching elders should be paid." Where does it say "teaching elders"? "lders pastor (shepherd) the church. (Acts 20:28) "Pay careful attention to yourselves and to all the flock, in which the Holy Spirit has made you overseers, to care(same word as pastor or shepherd) for the church of God, which he obtained with his own blood."" Pastor means shepherd. Elder means overseer. Both are lowly servants to the Body. Not leaders. There could be many "pastors" in one Body. There is no limit. Jesus Christ is the authority. Elders would be the spiritually mature. Where do I find 'teaching elder' or pastor elder? The fact is, many do these things and many are interchangable. Tell me, who is the pastor or elders of the church in Corinth? Phillipi? I am sure if they were so important, the letters would be written to them to carry out the instructions. Esp in Corinthians were the instructions were church discipline. Me thinks you make too much of your "position" and title. But then, this is what seminary is teaching most young men these days. To see themselves as 'great leaders' and 'great men of God' when in the Body of Christ there are only depraved humans saved by the same grace. JH: I have seen greed and corruption on many levels for many years. You sir, defend the practices of greed and corruption as if you "knew" something about them. Me thinks "thou protesth too much". Anon 2:08 pm asked "Where do I find 'teaching elder' or pastor elder?" The scriptures I gave you in Acts, and I Timothy shows that elders pastor (shepherd) and teach the church. Of course elders are servants but they are also leaders, you said it yourself "elder means overseer." An overseer doesn't lead? BTW actually it's the term bishop that means overseer. I used the Holman for clarity's sake, however vs. 18 defines very well what honor means in vs. 17. Paul uses vs. 18 the same way here as he did in 1 Cor. 9. BTW the HCSB translation agrees with Robertson, Vincent, White, and Leddon's work in Greek. No I'm not Joel Osteen or a big fan. And I do believe that God supplies the need for the Chinese pastor. And it's in all our pockets because we refuse to give and go like we should. "Anon 2:08 pm asked "Where do I find 'teaching elder' or pastor elder?" The scriptures I gave you in Acts, and I Timothy shows that elders pastor (shepherd) and teach the church." And my point is that all of these are interchangable in the Body. Are we going to pay everyone who does these things? "Of course elders are servants but they are also leaders, you said it yourself "elder means overseer." An overseer doesn't lead? BTW actually it's the term bishop that means overseer. " Tell me what you think the scriptures teach than an "overseer" does? "I used the Holman for clarity's sake, however vs. 18 defines very well what honor means in vs. 17. Paul uses vs. 18 the same way here as he did in 1 Cor. 9. BTW the HCSB translation agrees with Robertson, Vincent, White, and Leddon's work in Greek." All written by men who receive money from ministry and theological scholarship. Paul made tents so as not to be a burden. Still you are making a case that God likes Mac more than the Chinese prisoner. Where I tell you that Mac is getting his reward NOW. Like the Pharisees. Scary. Although Paul was indeed a tent maker it was also he who said that God ordained that the gospel preachers be paid. You can argue all day and you still can't change what the text teaches. Well, I would say that an overseer OVERSEES. The elder/bishop shepherds the church. It means that God holds him accountable for the teaching and protection of the church. The word overseer is the same word we get the word superintendent from. Surely even your paradigm driven interpretation cannot dismiss the fact that an overseer is a leader. Your problem is that you don't understand that a man can be a leader and a servant at the same time. A husband and a father would both be prime examples. Of course elder, bishop, pastor are used interchangeably to describe the same office. (1 Tim 3:1) "The saying is trustworthy: If anyone aspires to the office of overseer, he desires a noble task." ESV It is a specific office set aside with specific qualifications and specific duties. So yes everyone who holds the office and meets the qualifications and performs the duties should be taken care of. Forget the HCSB and the language scholars, the context of vs. 17 and vs. 18 in 1 Timothy 5 dictates the interpretation. What does "For the Scripture says, "You shall not muzzle an ox when it treads out the grain," and, "The laborer deserves his wages." ESV mean? And although Paul was voluntarily a tent maker it was also he who said that God had ordained that Gospel preachers are to be supported. As far as the question about the overseers duties that would be to OVERSEE. An elder or bishop is to shepherd the church. That is, he feeds the flock of God the word, and he protects them form false teaching. (Act 20:28-30) “Pay careful attention to yourselves and to all the flock, in which the Holy Spirit has made you overseers, to care for the church of God, which he obtained with his own blood. I know that after my departure fierce wolves will come in among you, not sparing the flock; and from among your own selves will arise men speaking twisted things, to draw away the disciples after them.” ESV Does a shepherd lead a flock? Of course he does. The idea that an overseer is not a leader is ridiculous. It's the word we get superintendent from. You just don't understand that a man can be a leader and a servant at the same time. A husband a prime example. An elder is a leader. And lastly, put aside the HCSB and the Greek scholars, the context of 1 Tim 5:17, 18 clearly interprets the text for us. You tell me what does "For the Scripture says, "You shall not muzzle an ox when it treads out the grain," and, "The laborer deserves his wages." ESV mean? "And although Paul was voluntarily a tent maker it was also he who said that God had ordained that Gospel preachers are to be supported." Now you are changing it to 'preachers'. Which is what I said in the first place. Preacher and pastor denote different functions in the NT. "That is, he feeds the flock of God the word, and he protects them form false teaching." So, the elder is to be spiritually mature and the only authority the elder has is the truth of the Word. He, personally, as a depraved human has not earthly authority over other believers. Otherwise I might have to obey Ted Haggard if I happened to be in his church.
" (Act 20:28-30) “Pay careful attention to yourselves and to all the flock, in which the Holy Spirit has made you overseers, to care for the church of God, which he obtained with his own blood. I know that after my departure fierce wolves will come in among you, not sparing the flock; and from among your own selves will arise men speaking twisted things, to draw away the disciples after them.” ESV"
Note he said the wolves would be among the elders! Best not to obey a wolf! Which means we must grow spiritually and have discernment and NOT follow men. "Does a shepherd lead a flock? Of course he does. The idea that an overseer is not a leader is ridiculous. It's the word we get superintendent from." So, you think you are a sort of Jesus to your flock? A layer between them and the REAL Jesus?
" You just don't understand that a man can be a leader and a servant at the same time. A husband a prime example." Where do you get leader out of a ONE FLESH UNION? Kephale does NOT mean authority at all. But you all wish it did. There are plenty of words in Greek to use for authority but the Holy Spirit did not Inspire them.
" An elder is a leader." An elder is a servant and an example. Jesus Christ is the leader. WE follow HIM not you. "(Heb 13:7) "Remember your leaders, those who spoke to you the word of God. Consider the outcome of their way of life, and imitate their faith." ESV (Heb 13:17) "Obey your leaders and submit to them, for they are keeping watch over your souls, as those who will have to give an account. Let them do this with joy and not with groaning, for that would be of no advantage to you." ESV"
You need to so some serious Greek study on this passage. The translators were laboring under a "divine" king...who was boss of the state church. It is a horrible translation. And negates many othe passages such as not lording it over and all the one anothers. Obey Ted Haggard? Obey Matt Baker? Are you serious? Just because they have a title? A friend of mine did a series on the translation problems of this passage. It is a 4 part series on the right sidebar of her blog. Of course, she is a woman so I am sure you cannot learn from her or it might be a sin for you. However, a correct translation would also go against your need to be a 'leader' instead of a lowly servant. Ifthe elders/pastors/ etc were to be OBEYED then why weren't all the Epistles written to only to them? Why did Paul tell the whole church to carry out discipline in Corinthians? John, Are you seriously going to argue that we should "obey" the Ted Haggards and Matt Bakers because they have a title? You need to take a good look at the Greek on Hebrews 13:17. the translators were laboring under a king who was boss of the state church. In Acts 20, did you notice Paul saying the wolves would also come from among the elders? If we are obeying humans in the Body, we are not following Christ but another depraved human. The point is to grow spiritually with the indwelling Holy Spirit guiding us. to listen to you, it sounds like we should follow men. No wonder pastors hardly mention the function of the Holy Spirit anymore. It would take away their power over the spirtually immature. "You just don't understand that a man can be a leader and a servant at the same time. A husband a prime example." Kephale does not denote authority of any kind. Big mistake. Where do you see ONE leader over anothe in ONE FLESH UNION? And why would Paul say the woman is the DESPOT of the home in 1 Tim 5 if she is not also a leader of the family? You got it bad, my friend. Give up your desire for preeminance over other believers. Eph 5:21 applies to YOU, too. If you are concerned about that Chinese pastor, what have you done to help him? Have you gone to China? Have you sent any money to groups that work in China? Have you been praying for him? Or have you just gotten on blogs and commented how much you think pastors are overpaid? I still contend that the money is in our pockets, meaning you and me and the rest of American Christians,to help persecuted Christains around the world. 26,000 kids on this planet died of malnutrition or preventable disease in the last 24 hours. That's almost 9 million this past year. The majority of the world lives on less than 2 dollars a day. And you're worried that the preacher makes too much money and you get mad when you are expected to give ( as the Bible teaches)? I know, you'll just say I'm changing the subject but it's so easy to armchair quarterback and say what people should do, instead of actually doing something yourself. So if you're worried about Chinese Christians, I would expect you to be buying a ticket to China fairly soon to go help them. Speaking of honor or double honor...just what is this honor bestoyed for and to who exactly deserves it? The Bible basically declares that the pastor is to " Feed the sheep". That is the instructions Jesus gave to Peter. Honor is not given because some pastor is in a position of holding an office in a Larger building than some pastor who is in a Smaller one. There is nothing concerning building a school or going on mission trips (vacations)in Pauls epistles. Paul established churches when he went on mission trips throught Asia Minor. He also was beaten with rods, whipped within an inch of his life while traversing Derbe, Iconium, Antioch, and Lystra. The pastor is to witness "house to house" and I see very little of that these days. To clarify the position of my understanding check out I Tim 6:5 "Perverse disputings of men of corrupt minds, and destitute of the truth, supposing that gain is godliness; from such withdraw theyself". I see a lot of these so called pastors hit the money trail and delight themselves in putting people on a guilt trip regarding tithing and lecturing members that they are not in God's will if they don't tithe. As far as writing books they have the greatest book ever written the BIBLE and they hardly ever use it and many have no idea whats in it.There is nothing NEW UNDER THE SUN and most of these books are just written to make money rather than teach one anything about the BIBLE. Look closely at vs 7 "For we brought nothing into this world, and it is certain we can carry nothing out". Pay real close attention to vs 8 "And having food and raiment let us be therewith content". These are the words of God and we should all HONOR them not some pastor who wants to live lasvishly and run with the Rich and Famous. Like someone said their reward is down here on earth and they need to repent and get right with God while they still have an opportunity. I get really tired of these pastors who make hundreds of thousands of dollars and claim they have it so hard especially when their underlings are doing most all the real work that goes on while they put in several hours a week preparing sermons they didn't compose and never visiting the sick, orphans, or widows. No wonder people are leaving the so called church in droves!!!! A great number of these men will be miles behind Mother Theresa. I never said follow or obey anyone much less Ted Haggard or Matt Baker. Those two came out of your own reasoning. Which, btw, was just another diversion from the subject at hand. Of course, I noticed that the wolves would come from among those elders I was the one that posted the verses, remember? But that fact doesn’t invalidate true elders any more than Ted Haggard or Matt Baker invalidate true elders. BTW you never dealt with my question about 1 Tim. 5:18 which shows us what honor means. You can't deal with verse 17 in a vacuum. There is no doubt that the word can mean and is translated respect, but it also can mean something financial. A case would be where Jesus dealt with the Jews not honoring (supporting) their parents by simply say they had given evertything they had to God. (Mar 7:9-13) "And he said to them, "You have a fine way of rejecting the commandment of God in order to establish your tradition! For Moses said, 'Honor your father and your mother'; and, 'Whoever reviles father or mother must surely die.' But you say, 'If a man tells his father or his mother, "Whatever you would have gained from me is Corban"' (that is, given to God)-- then you no longer permit him to do anything for his father or mother, thus making void the word of God by your tradition that you have handed down. And many such things you do." ESV The word honor here comes from the same root as in 1 Tim 5:17 and here it clearly means financial support. Now once again tell me what 1 Tim 5:18 means and its connection in context with vs. 17 and I'll tell you what double honor means. No more diversions, that is indicative of a person who has no valid argument. You're accusing me of things I never said. "Oh yeah, where in 1 Tim 5 does Paul say the woman is the Despot of the home? Did you mean Titus 2:5?" No, I meant 1 Tim 5. Check the Greek. The Greek for manage the home is the where we get the word 'despot' from. You should know this as a 'pastor' who teaches. You are firmly sticking to your preeminance not only over others in the Body but in marriage. Shame on you. Believers are servants. Thanks for the clarification on 1 Tim 5:14. Of Course a woman is the manager of the home with authority to carry out her duties. One cannot operate without authority. Real easy to understand. You still never answered my question about 1 Tim 5:18. Of course I know you don't have an answer. I've shown scripture after scripture and you've just dismissed them with your pat answer "that's not what that means", but in order to do that you must tell what it does mean. This has nothing to do with preeminence either, once again, a person can be a leader and not be the preeminent one, the responsible one is what a leader is. When I showed the Heb 13 verses you never dealt with them you just went off on your tirade about Ted Haggard and Matt Baker. Your understanding of leadership and authority is somewhat warped. "You simply dimiss any scripture that doesn't suit your views." And you promote proof texts you think give you power and authority over others, ignoring all the one anothers, not lording it over and servant passages.
" Everyone knows that elders are leaders in the church and husbands are leaders in the family. The Bible is clear on this." Not really. I thought God was no respector of persons. Do you have a special anointing or something because of physical anatomy? Or perhaps if a woman's husband dies young, she is leaderless. What can she do? Who will lead her? And we know single woman are just lost without a man to lead them. I am very sorry you think your wife must remain a perpetual child that must be led.
" There is a thing called servant leadership, it was demonstrated by Christ, and He commands husbands to do the same." No, "servant-leader" is a made up term by men. It was coined about 30 years ago for a reason. To soft peddle authoritarianism and thefollow of men instead of Christ. No, you are mapping the passage on husbands to an authority position. The mapping in that passage is unity...not authority. ":(Ephesians 5:24-29) "Now as the church submits to Christ, so also wives should submit in everything to their husbands. Husbands, love your wives, as Christ loved the church and gave himself up for her, that he might sanctify her, having cleansed her by the washing of water with the word, so that he might present the church to himself in splendor, without spot or wrinkle or any such thing, that she might be holy and without blemish. In the same way husbands should love their wives as their own bodies. He who loves his wife loves himself. For no one ever hated his own flesh, but nourishes and cherishes it, just as Christ does the church," ESV"
So you believe that as a mere human you can sanctify your wife? So your wife does not need the Holy Spirit because you are leading her and NOT the Holy Spirit? Be careful what you believe this is teaching. Head does not mean authority and is dubious as leader. the Greeks thought the head was the source for the body. You seem to see yourself as some sort of 'Savior" figure to your wife because of your interpretation of this passage? This passage is about love and unity. Yet, you map the authority of Christ to men from this passage. That is NOT what it is communicating here. You are a depraved sinner saved by same grace and Eph 5:21 applies to YOU, too. "Still waiting for my answer on 1 Tim. 5:18." Of course, I could do the same thing with proof texts you do. I could say that the bible command that ONLY older women teach younger women to love their husbands. I could say that means that any man teaching would have to tell the young women to leave the room when he teaches on this. or, it could also mean that older women in the body who hate their husbands should teach the younger women because it commands it to be. Why are you bouncing between the two comment streams? Are you trying to give me the slip? Your misuse of scripture is astounding. That text in Ephesians 5 doesn't say that a man sanctifies his wife, but it does compare Christ's realtionship with the church to that of a husband and wife. Once again all I did was post the scriptures and you tried to put words in my mouth. Another diversion. Also, you obviuosly have confused 1 Tim 5:18 with 1 Tim. 5:14. We've already covered the who despot of the house thing. I asked you to tell me what "For the Scripture says, "You shall not muzzle an ox when it treads out the grain," and, "The laborer deserves his wages." ESV means in context with vs. 17. Once again, another diversion. The only way you can try and win an argument is by trying to skirt around the scriptures and not deal with them directly. I'm sorry the Bible doesn't say what you want it to say. P.S: Are you going to post back on this stream or should I look for your rebuttal comments on another unrelated one? John, I made a mistake using the other comment streamn earlier. And, I have written 2 detailed responses only to have it go to an ms error page. Very frustrating. I hope this comment makes it through. I should have saved my comments but am working off a blackberry right now. If I can, I will return later to try again. But I am working off a tiny. I think you over map the Eph 5 passage. The same mistake most masculinists make. Anon 10:18 said "Head does not mean authority and is dubious as leader." Really? So Christ is not in authority over and the leader of the church? You can't have it both ways. You have a paradigm driven interpretation of scripture, your misunderstanding of "ONE FLESH" causes you to think that the husband being the leader makes the wife less equal. You totally miss the point of Eph. 5 completely. You can't say that Christ being head means authority and leadership but it doesn't mean the same when applied to the husband. That was your friends blog that you recommended I read. Everyone knows that the Bible teaches that the husband is to lead in the family. Does that diminish or devalue the wife? Does our submitting to God ordained authoriity (i.e. gov't, teachers, parents etc...) diminish or devalue us? The answer is no, you misunderstand authority and leadership. The husband is not given leadership to serve himself he is under the authority of Christ and is accountable to him. Look I apologize about what I said about the comment stream, I let this get too personal. I had trouble posting comments yesterday too, so I completely understnd. Also, I'm sorry about the fact that you and I are not going to agree on these issues. While I agree that the state church mentality, beginning with Constantine, certainly has played a major role in misunderstanding the church and its function, I still believe in the organized church, and I still believe it has officers, ordinances, mission and discipline. I believe that the marital relationship is a model of the relationship of Christ and the church. I'm still willing to discuss this further, and I'll do my best not to make my comments so personal. We have to be logical about it. We do not believe in Apostalic succession or divine rights. The word "office" was added by the translators. These are simply functions within the Body. As to discipline, Paul wrote to the entire Corin church to discipline someone. You ever wonder why? As to Ordinances, I think it is hard to make a case for what and how we do such things today. The "Lords Supper" was a real meal and very informal. The laying on of hands and praying was commanded? We have taken spiritual things and made them into pomp with little substance. We have turned them into works. I do see why you support such things as an "office" within the Body. "I believe that the marital relationship is a model of the relationship of Christ and the church.'" It is to be a model of the LOVE and UNITY in the relationship. Your wife is NOT a church. And YOU are not Jesus Christ. You are also a part of the BRIDE. As to 1 Tim 5..."manage the house" is a horrible translation of oikodespotes. Note, it is where we get the word "despot:. oikodespot-eô and oikodespoteō from 1 Tim 5:14 to be master of a house or to rule the household. She is a co-ruler with YOU. A one flesh union does not have a leader or junior partner. It is ONE FLESH. Creation order means nothing because God never said it meant anything. You guys READ IT INTO THE TEXT. It only means that Adam had more knowledge than Eve at that point in time because he had been around longer and actually saw God planting the Garden. He saw God at work! He KNEW!. Why does an adult women believer need a leader? If she is saved, she is also given the indwelling Holy Spirit. But men come along and want to play that part to them. What happens if her husband dies young? She is "leaderless" according to you? If that is not so, then what exactly are you doing? And why would you want a perpetual child wife? When can she mature spiritually way past you? If you say she can, then why does she need an earthly leader? Adult Believers are not the world. We have the indwelling Holy Spirit! Every adult has responsiblity so to try and define authority or leadership as mainly responsibility is a red herring. It is way to soften the teaching of benevolent dictator. Your interpretations are masculinist interpretations. And they are very dangerous because they keep women spiritually immature.... following men INSTEAD of Christ alone. There is NO earthly layer between any adult woman believer and Jesus Christ. And too many men are teaching the consequences of the fall as virtue and it must stop. When women follow Christ and have the indwelling Holy Spirit, they seek first the Kingdom of God. It is not going to lessen you if your wife becomes a great theologian. I pray that she does not fall into the trap of a pink and blue salvation or sanctification as you guys teach. She also gets FULL inheritance. there are NO specific roles for salvation or sanctification unless you really believe that Paul was teaching women are saved in childbearing (It is a noun in that verse as in "The Childbearing). Maybe you do believe in a roles and rules salvation for women...as in a work of salvation. CBMW does and promotes such a thing constantly to ignorant people who are not Bereans. If I take your way of interpretation then I must insist that ONLY older women can teach the younger how to love their husbands. That would mean that if a male teacher talks to women about loving husbands, he must ask the younger women to leave the room. It also means that even the older women in the body who might be immature believers can ONLY teach the younger women who might be more mature spiritually. That is what your style of interpretation does to the masculinists proof texts. It over interprets the text to mean something never intended. We are not in Crete or Ephesus. Women are not civil property of their husbands anymore where submitting was a step up for her because NOW, in Christ, it is voluntarily done out of love. Obedience of the wife was the civil law as the property of her husband. Some women got by with more if they were rich and Roman. But a reading of the Household Codes of the day and Paterfamilias of the time, really helps us understand what the audience would have understood. First of all, I never said anything about the man sanctifying the wife. Please quit mischaracterizing what I believe or am saying. Second of all, please answer my question about 1 Tim. 5:18 not 1 Tim. 5:14. This is regarding our conversation regarding compensation for elders, I just wanted to know what vs. 18 means in context with vs. 17 in your opinion. Third, I'm trying to be less personal about this so please quit referring to me as a masculinist. I won't call you a feminist. Fourth, please show me the proof that the your proposition that "...the verb submit was brought down to verse 22 by the translators" is in fact true, because I have not been able to find that anywhere. Anon 1;21PM. WELL PUT. What most men who want to be an authority in the home, is for their wives to subscribe to this notion of obeying and surrendering their brains to another person who is also saved by GRACE. Jesus Christ liberated women, He did not degrade them. Some of the most spiritual individuals were women...Eunice, Lois, Naomi, Ruth, Esther, woman who threw in 2 half pennies, Aquila, widow who lived some 84 years after her husband died, Mary, Martha and several more. I've met a lot of women who are/were married to Baptist deacons that were a lot more gentle and kind in spirit than their husbands could ever be or have been.With more Bible knowledge, I might add. We are all (male and female) one in Christ Jesus. Learn a lesson from I Peter 5:3 " Neither as being lords over Gods heritage, but being examples to the flock". vs 5 " Likewise ye younger, submit yourselves unto the elder. Yea, all of you be subject one to another, and be clothed with humility: for God ressisth the proud,and giveth grace to the humble". Large and even sometimes little egos have done much harm to the cause of Christ. In the eyes of God there is neither male nor female. I say quit trying to rule over someone and let the spirit of God take control and neither the male or woman in the flesh will ever come out. Satan knows this is a fertile ground and he uses it to prevent our being spiritual. He used it in the garden of Eden 6000 years ago and he is still using it today. This comes from a longtime married (to his first wife) male. I’ll let the overwhelming testimony of scripture speak for itself. We know what the Bible says. When EY so graciously gave us his confessional speech in February after the news story came out, he told us, his congregation that he did not make a million dollars. He said that it would be nice to make a million, but he never has. I was told by an insider, who is very reliable that his salary is $750,000 and his housing allowance (which he didn't deny) is $240,000. Ed, you are correct, you don't get a million from the church, you only get $990,000 and that is not a million. That also does not include Lisa's salary. Smoke and mirrors. To use the Luke 22:25-26 as a means to renounce the male leadership role is not tenable. Luke is speaking of lordship, a totally different term than used in the submission passages in Eph 5; 1 Tim 2; 1 Pet 3 and many others. The same Greek word translated submit is used of our submission to Christ (Eph. 5:24), to God the Father (James 4:7), to government (Rom 13:1; 1 Pet 2:13), of servant's submission to their masters (1 Pet 2:18), of our submission to each other (1 Pet 5:5), and of wives submission to husbands (Eph 5:22; Col 3:18, 1 Pet 5:1-4). I mean no disrespect to anyone but we would have to throw out the Bible if we explain away all the passages that tell us that wives are to be submissive to their husbands. The Greek is quite clear and there is no doubt that these verses were in the original. I'm sorry, but the scriptural evidence is overwhelming about God's model for the home and church. If women aren't to submit to their husbands, then we are not called on to submit to civil authorities, or to parents, or to Christ. This is really about obeying God and trusting Him. If women aren't to submit to their husbands, then we are not called on to submit to civil authorities, or to parents, or to Christ. This is really about obeying God and trusting Him. I'm a woman, I've never married, I'm 50 years old and my father raised me to be a self-sufficient, self-guiding person. I hold down a good job and I own a home. This does not mean that I don't ask my father for advice--I do. But I'm the one who is ultimately responsible, not him. It's why so many women are saying, NO MORE to this "christianity" that has little to do with what Jesus taught and died for and everything to do with continuing male rule over women. Look around your churches--how many single adult women older than 30 do you see there? Few, if any. We're out there, but we're not in your pews on a Sunday. But even if we were in your pews, you wouldn't think much of us because we're not men or married. We're invisible. Why, you'd think that there were some sins Jesus didn't die for and that we women are still having to work through the effects of the Fall. I might gently suggest never giving a dime to an organization that doesn't file a Form 990 and/or publish independently audited financial statements. I'm glad Jesus didn't whistle and walk away we He was required to humble Himself. If that's what makes you walk away from Christianity you obviously never had it. You don't know jack about me and I resent being judged by you. I'm telling you that you and your church have a problem with women in your belief system. Your church consistently and regularly puts women down and makes us into second-class citizens. That may have worked in the day when we women were legal and social second-class citizens, but it doesn't work now. I'm not going to remain in an environment where I'm judged every time because I'm a single, never-married, professional woman with two university degrees. I don't think you would if you were in my shoes. All the church wants out of me is my money and then it wants me to go away while it attends to the families that are its core constituency. Jesus was a pretty startling guy--he talked to the marginal of his day (cf. Mark 7:25-30). I couldn't even begin to believe that a pastor would even have a discussion with a woman member questioning his teachings over the pulpit, even with a crowd of deacons standing around. The marginal people of today are those of us who fall outside of your carefully constructed, carefully-defined family oriented churches. These include rich and poor, male and female, debt-free and debt-ridden. Jesus would have been with us. But you'd never see that from the insides of your churches. Again, you judge without thinking or knowing. I'm telling you to stop. Oh and you didn't judge me and my church when you made your analysis? You said "Look around your churches--how many single adult women older than 30 do you see there? Few, if any. We're out there, but we're not in your pews on a Sunday. But even if we were in your pews, you wouldn't think much of us because we're not men or married. We're invisible." You misjudged my church and me in this statement. I fully realize that some women and men are called to a life of singleness. Mt. 19:12; 1 Cor. 7:32,33 I not only recognize this is true I respect people who recognize that as their calling and are content with it. I pastor ladies in this category and I promise you that if you talked to them they would tell you I am very respectful to them and they are not invisible to me. Ma'am I have nothing against you, I am simply concerned that people are trying to rewrite the Bible. We cannot change what it teaches to suit our cultural whims. It is astounding to me that people deny these simple truths that literally dozens of passages teach. God calls on all of us to submit to someone, and if we don't than we are not submitting to God. Rom. 13:1, 2 It's not a matter of superiority or someone being of less value, it is simply about what the Bible including teaches. I apologize for judging you. John Wylie you have masterfully and Biblically presented your arguments and I am in total agreement with what you have stated! But everyone knows where you stand. You have clearly and Biblically made your point! Thanks Brother. Your kind words are an encouragement to me. Do you write any blogs? While I am sure there are some preachers out there like this, let me assure you there are many small church pastors out there who work more than you can imagine. A true sermon takes at least 20 hrs a week to prepare. They are on call 24 hours a day, 7 days a week, during vacation and holidays. My husband is a pastor and I can't tell you how many times we've had to cancel vacation (I use that term loosely because the only vacation we take is a Friday or Saturday to go somewhere with our kids) because of death or illness in the church. Small church pastors do almost all of what goes on in a church, some even clean the church. So do not for a minute lump all pastors together. My other comment is what is so wrong with a gift? We have received gifts from church members before, $20 here, maybe a gift card to eat out. And let me tell you it's always been at a time when we really NEEDED it. But even so, what is wrong with a gift? God bless you dear lady. Thanks for your insightful comments about pastors. Those are things that only pastor's and their wives would really know. "While I am sure there are some preachers out there like this, let me assure you there are many small church pastors out there who work more than you can imagine. A true sermon takes at least 20 hrs a week to prepare. They are on call 24 hours a day, 7 days a week, during vacation and holidays. My husband is a pastor and I can't tell you how many times we've had to cancel vacation (I use that term loosely because the only vacation we take is a Friday or Saturday to go somewhere with our kids) because of death or illness in the church. Small church pastors do almost all of what goes on in a church, some even clean the church. So do not for a minute lump all pastors together." Mrs Anon Pastor's wife if I did'nt know better I would have thought you were my lovely wife blogging about our life in the ministry!!! Dear Brother Wylie,I have no blog! I'm just a small time nobody minister here in Jacksonville Fl.,working diligently for the Lord with a great wife at my side!! !